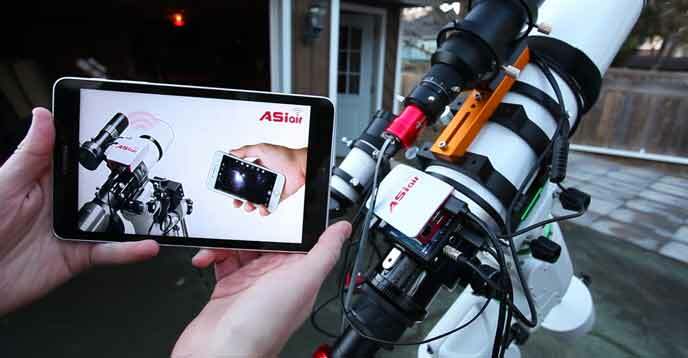 The ZWO ASIair is a smart WiFi device that allows you to control ASI astronomy cameras for astrophotography. 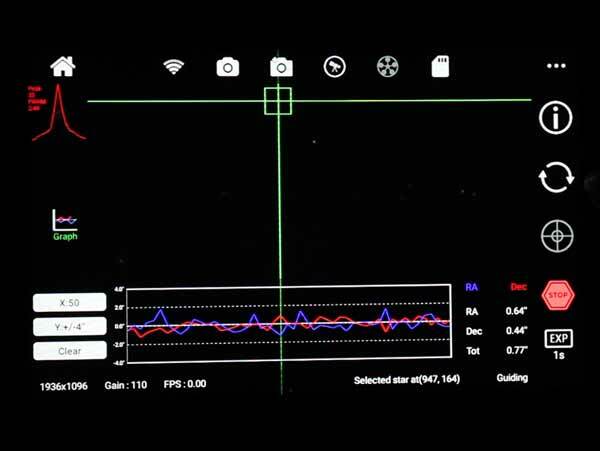 This Raspberry Pi-based accessory allows you to run an imaging sequence, autoguide, and even plate solve using your smartphone or tablet. As many of you know, when it comes to capturing astrophotography images, I tend to do things “the hard way” more often than I should. This includes everything from a manual 3-star alignment to carrying my astrophotography gear in and out of the garage night after night. It’s because I’m old-school. When I started deep-sky astrophotography back in 2011, there weren’t nearly as many dedicated astrophotography products available to automate the imaging experience as there are now. Powering up my laptop computer inside of a weather-proof plastic bin has always been a part of my deep-sky ritual. It’s a familiar and oddly comforting routine. But so was connecting a DSLR camera to my telescope with a T-Ring adapter. I’ve learned to embrace new technology, even when I am not convinced it will add additional value to my sacred deep sky astrophotography experience. In this post, I’ll describe my experiences with an astrophotography product that not only has the power to persuade “old-school” imagers to evolve, but attract new blood to this addictive hobby. 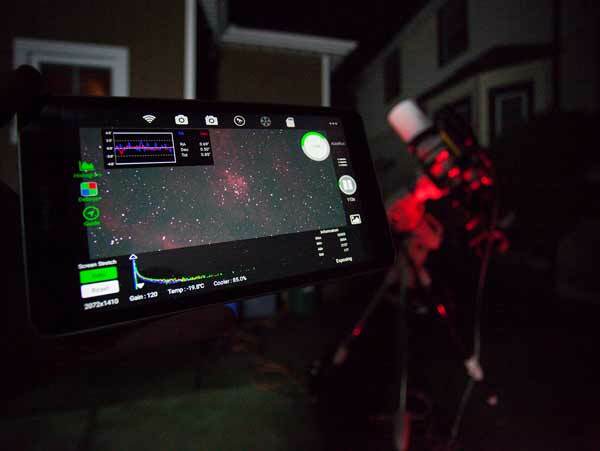 Streamlining the deep sky astrophotography experience means spending less time setting up and connecting hardware, and more time collecting light on your target. Perhaps one of the greatest recent examples of the technological evolution of this hobby is the ZWO ASIair WiFi camera controller. 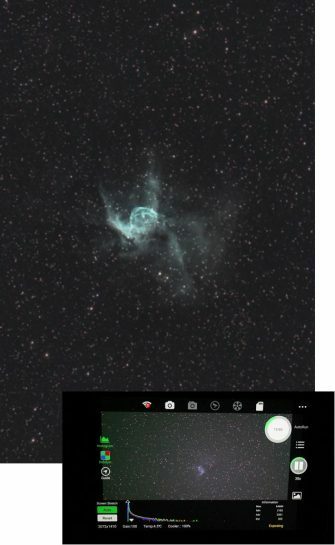 It aims to provide the astrophotography world with a portable, full-featured, user-friendly experience in a standalone package. If the idea of ditching your laptop computer for a miniature (nearly weightless) device that can be velcroed to your telescope interests you, you’re in for a real treat. Here are my early impressions of the ambitiously mainstream ZWO ASIair. The ZWO ASIair is not the only camera control device in this category. The StellarMate and Primaluce Labs EAGLE are comparable products, each with their own loyal following of users. These onboard astrophotography computers can be daunting to newcomers, or those of us that are not overly technologically advanced. However, the package put together by ZWO is aimed at the everyday backyard astrophotographer, and that’s what captured my attention first. I first noticed the ASIair remote imaging control system at NEAF in April 2018, and finally, have one for myself to try out here in the backyard. An obvious difference between the ASIair and its competitors is that that it’s camera control functions are exclusive to ASI cameras. As a very satisfied user of the ZWO ASI294MC-Pro, this compatibility restraint did not deter me. The ASIair will control all of the cooled ZWO ASI cameras. Unless you already own one of these cameras (or plan on investing in one), the ‘air is likely not on your radar. 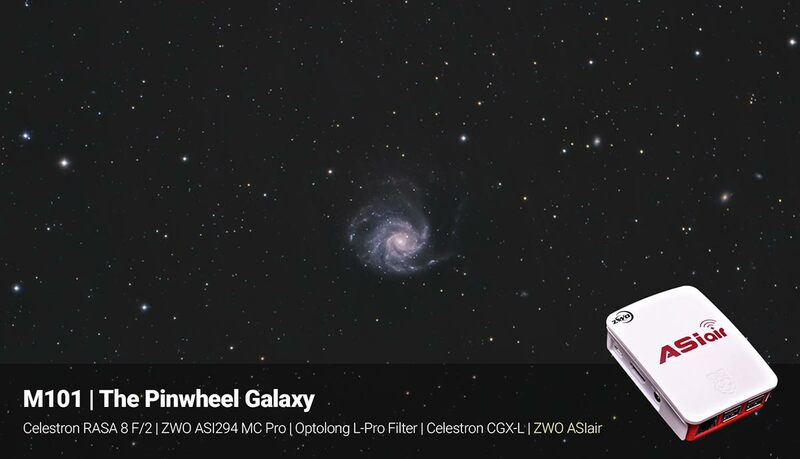 However, the impressive slew of features this computer offers may present an opportunity for automation in the areas of mount control or autoguiding, even if you’re shooting with a DSLR or non-ASI astronomy camera. The ASIair is meant to replace the need for your imaging laptop in the field. For long-time imagers like myself, removing a laptop from the equation gives me mixed feelings. I love the idea of having less kit to set up, but I fear I will lose functionality and control of the acquisition process, especially when autoguiding is involved. However, that is exactly what the ASIair aims to do, with an ambitious array of features for such a tiny piece of gear. One of the many possible configurations with this unit is to simply use it for mount control with the SkySafari planetarium app on your smartphone. The plate-solving aspect alone is an attractive feature for those looking to implement an element of automation to their process. 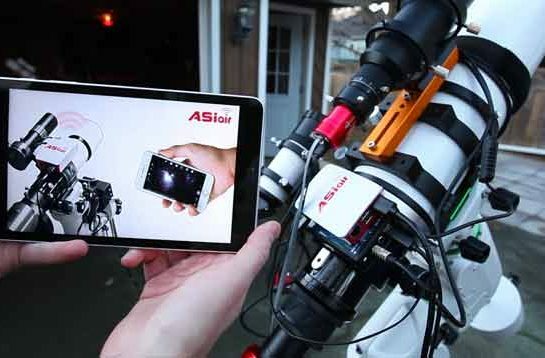 Another scenario is someone who uses an ASI guide camera, but shoots with a DSLR through their imaging telescope. The ASIair handles autoguiding without the need for a bulky computer and the power supply it requires. I am an Android phone user myself (Galaxy S7), and I have downloaded the ASIair app from the Google Play store. All Android phones are supported – and tablets with OS 5.0 or later are supported. For Apple, iOS 9.0 and up is supported. My review of the ASIair gave me the perfect excuse to finally purchase a new tablet, with astrophotography the primary culprit for the decision. I ordered an 8″ 2017 Samsung Galaxy Tab A, which now has all of my go-to astrophotography apps installed such as the Clear Outside app and SkySafari. At the heart of the ASIair unit is a Raspberry Pi computer housed in a ZWO branded plastic body. It includes 1 Ethernet port, and 4 powered USB 2.0 ports to connect various imaging accessories. Most users will connect to the device using WiFi, but it’s nice to know that a direct connection to a wired network is available if needed. The ASIair is powered with a USB C cable. You can use any USB-based power supply as long as it provides the required 2.5amp voltage. I used the handy Pegasus Astro Pocket Powerbox to power up the ASIair, an equally lightweight device that simplifies the cabling of my rig. The ASIair includes a USB to RS232 cable, that is necessary for connecting it to your telescope mount. I installed the ASIair app to my Android smartphone, which was a quick and easy download from the Google Play store. iPhone users will also find this app in the App store. The first thing I did was connect to the ASIair network, which is listed on the inside of the ASIair unit along with the password. With the network connected, I swiped back over to the app and it automatically recognized my setup. This is where you input the details of your telescope details such as focal length and aperture. You’ll need to enter in the specs of both your primary imaging telescope and guide scope. The ASIair will automatically detect the cameras and accessories you’ve connected to it. When powering up the ASIair app for the first time, I received a notification about a firmware update. This update took about 5-seconds to apply wirelessly with one tap. 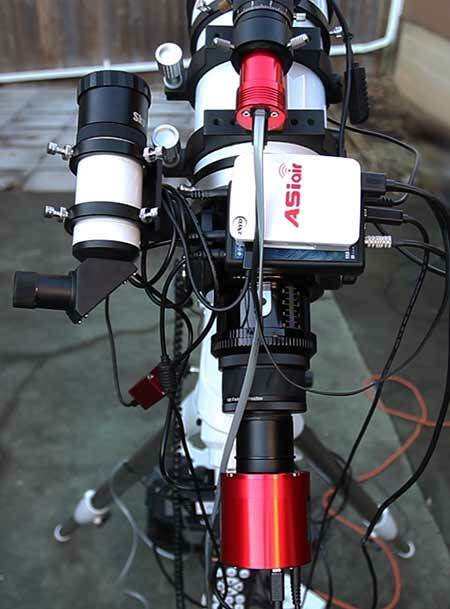 The ASIair controlling the ASI294MC Pro on an 8″ Celestron RASA. The included 32GB Micro SD card comes with the ASIair Operating System pre-installed, which uses about 7GB worth of space. This memory card also stores the image files I capture using my ASI294MC Pro. To transfer the images to my computer for processing, I use the included Micro SD card reader to pull the images off after a night of shooting. ZWO states that this is the only size of memory card you should use and that it’s best to back up the OS before imaging to be safe. I’ve still not taken this precaution myself, but it would be silly to lose operation of the device due to corruption of the card data and operating system. The ASIair only works with ZWO cameras and filter wheels. This means that I’ll use it to control my ASI294MC Pro camera for imaging, and an ASI290MM Mini for autoguiding. 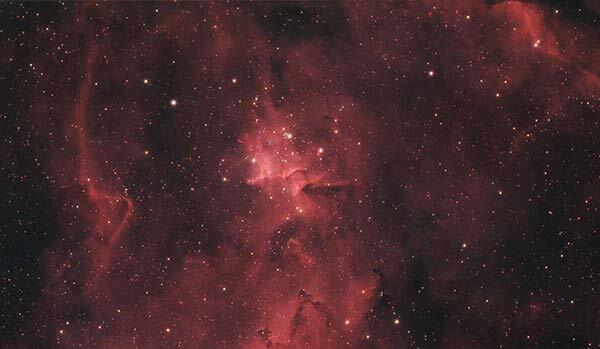 I’ll save filter wheel operation for a later post, an area of astrophotography that remains to be explored for me. I’ll capture images using the Sky-Watcher Esprit 100ED telescope, with an STC Astro Duo-Narrowband filter threaded to the camera. 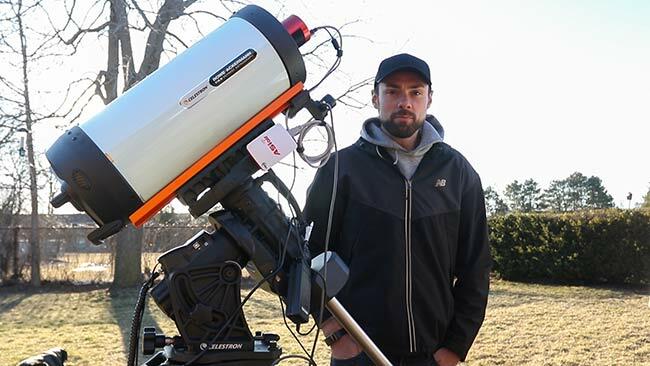 Autoguiding will take place using the ASI290MM Mini guide camera that has been generously loaned to me from Ontario Telescope. 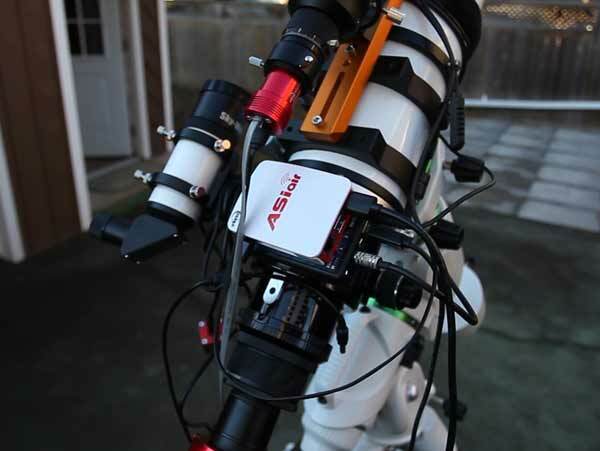 The ASIair connects to telescope mounts compatible with the INDI library, which includes the Sky-Watcher EQ6-R Pro (SynScan system). See the list of supported mounts here. 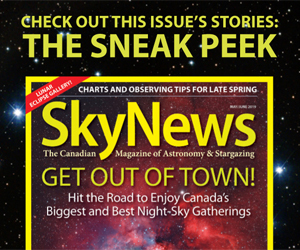 Unfortunately for me, I haven’t purchased the required shoestring astronomy adapter cable to make this happen yet. Once I do, I’ll be able to utilize handy features of the ASIair such as Plate-Solving and planetarium control (SkySafari) of the mount. The focus adjustment interface is very useful when making slight adjustments to focus using a fast F/2 telescope like the RASA. You simply need to click the play button using your desired exposure length, and the camera will run a continuous loop of images. The ASIair user manual recommends using the maximum bin value (BIN4), and to use a 1-second refresh rate. I have found these settings to work very well when using a typical light pollution filter. The quick refresh rate is very handy because you get immediate feedback from the changes in focus you have made. This is extra handy when using a Bahtinov mask like the one found in the dust cap of the RedCat 51. If you are using a narrowband filter in front of the camera sensor, you may need to increase the exposure time to 3-seconds for a useful star to focus on. Using the focus fine-tuning interface of the focus tab. The AISair application includes a fine-tuning interface that is activated by pressing the magnifying glass. The area framed in the green highlighted square is where the fine-tuning focus area will isolate. The micro adjustment interface shows a peak focus and HFD focus curve. The larger the peak value, the smaller that HFD value. The goal is to achieve the smallest HFD value possible on your selected star. The ZWO ASIair does exactly what it was designed to do, simplify the deep sky astrophotography imaging experience by removing the need for an external computer connection. Instead, the little unit rides along with your telescope as it tracks your target. The ASIair app works fantastic on my Samsung Galaxy Tab A (8-inch) tablet, allowing me to run entire imaging sequences from inside the house. The autorun tab allows you to set all of the necessary details for acquisition including a lengthy sequence. My favorite feature of the app is the no-nonsense camera control of all essential settings. My ZWO ASI294MC Pro camera cooled to -20 degrees Celcius faster using the ASIair than I could ever get it to using APT. 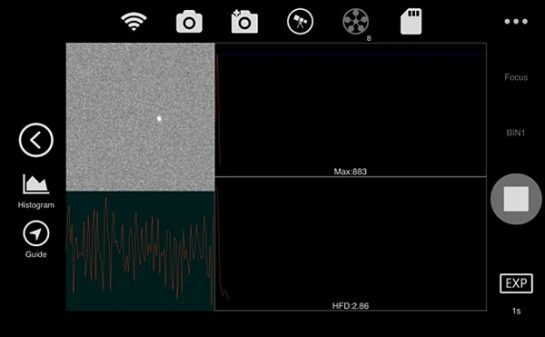 Adjusting gain, binning, and exposure length using the app make the process of running a dedicated astronomy camera like this feel as user-friendly as a DSLR. That is some seriously powerful stuff. My target selection was Merlotte 15, within the Heart Nebula. This was a spur-of-the-moment decision based on my limited amount of clear sky time, and its convenient location in the sky for this month. Limited clear sky time and poor imaging conditions leave much to be desired with my data. The point is, the recipe for collecting quality data is there. Since I began using the ASIair in late 2018, I have collected an impressive amount of deep sky images using this device. This includes configurations that use the Celestron 8″ RASA F/2 astrograph with the ASI294MC Pro camera attached. The following images were all collected using the ASIair to control my ASI294MC Pro camera. I have also photographed the Sunflower Galaxy using the autorun feature of the ASIair while I stayed warm inside the house. Autoguiding was the biggest surprise, as the default settings from ZWO achieved a respectable guiding graph and sharp stars despite poor transparency. Ideally, I could improve guiding performance by tweaking the settings, but beginners will find the guiding software to work exceptionally well out of the box. The ST-4 cable is connected to my guide camera at one end, and Sky-Watcher EQ6-R equatorial mount at the other. The fact that a process as complex as autoguiding has been unscrambled into the push (or tap) of a button has me feeling quite astonished. I think back to the early days of the original PHD guiding software and the countless nights of imaging lost fiddling in the glow of my computer screen. As I stated earlier, this device may serve those looking to simplify their autoguiding experience. If you’re looking to replicate the setup pictured here (and in the video), you should take a good look at the ZWO ASI290MM Mini guide camera. 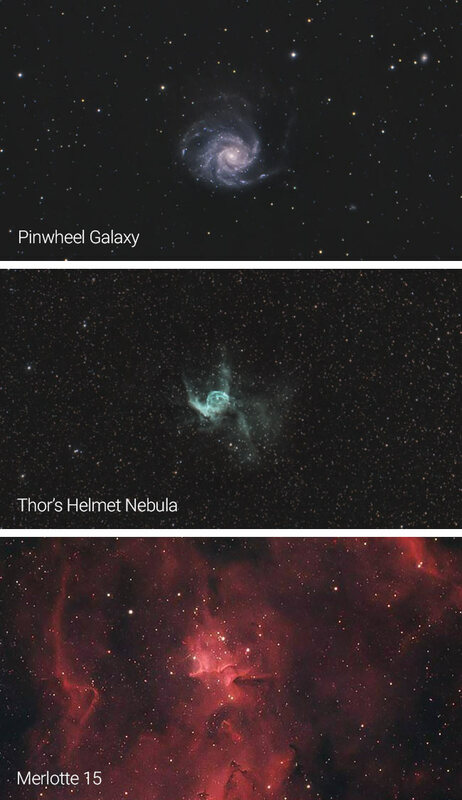 In March 2019, I photographed Thor’s Helmet using the ZWO ASIair and the Celestron 8″ RASA. I promise to test the planetarium mount control and plate-solving functionality of the ASIair in the future. I realize that these features are some of the primary reasons amateur photographers are looking into this device. In the end, successfully capturing a respectable image of a deep sky object in the span of roughly 2.5 total hours of clear sky time with a new product is almost unheard of. This is a testament to the reliability and stability of the ASIair and its dedicated app. 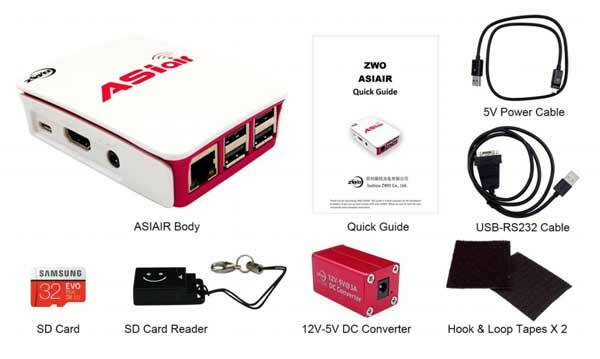 If you already own an ASI camera from ZWO, investing in the game-changing WiFi camera controller known as the ASIair might be one of the easiest decisions you’ve made in your astrophotography advancement yet.